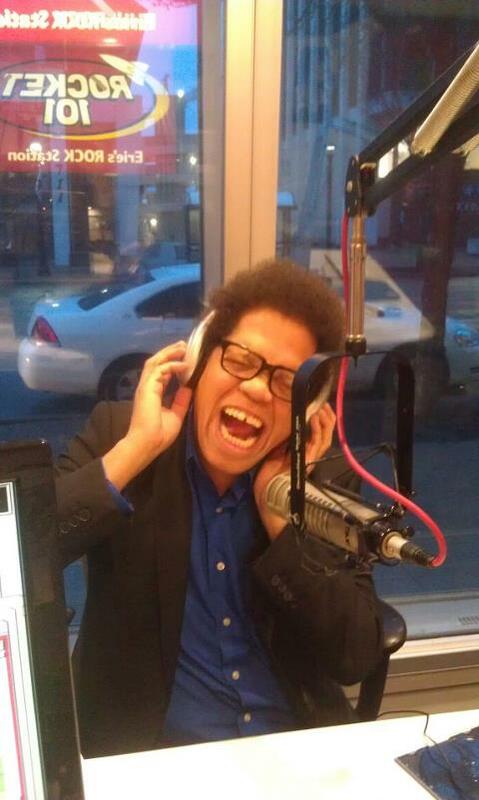 Early this morning, I was on The Rocket 101 in Erie with Mojo and AC promoting my appearance at Jr.’s Comedy Club. We had a great time talking about chicken and waffles and I debuted my new song about the pope. If you missed it, here’s me sporting my new -do. 🙂 If you live in the area or you’re just passing through, give these guys a listen. It’s a fun show!